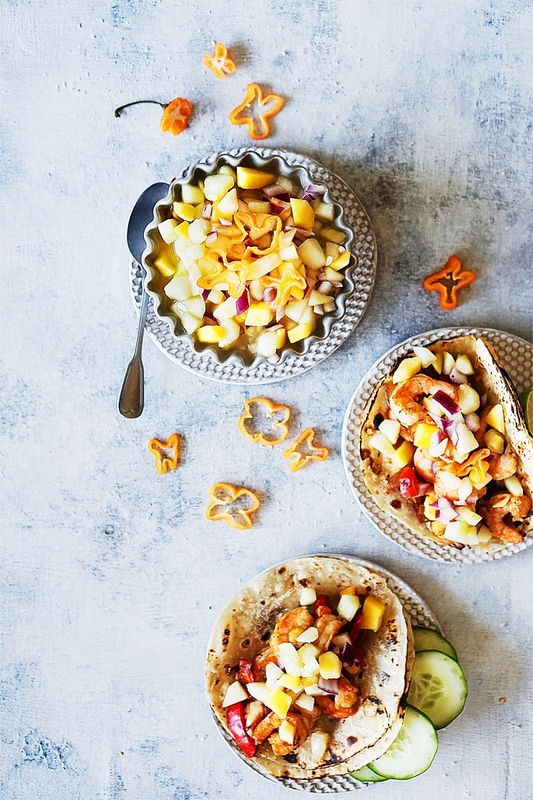 Mango & Pepino Salsa goes perfect with any seafood, chicken & pork dish. 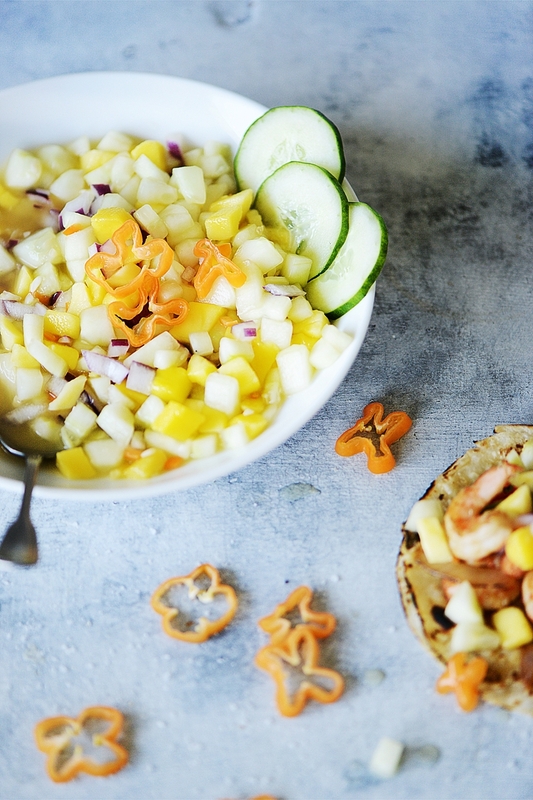 It’s the perfect way to add some freshness to your meal! 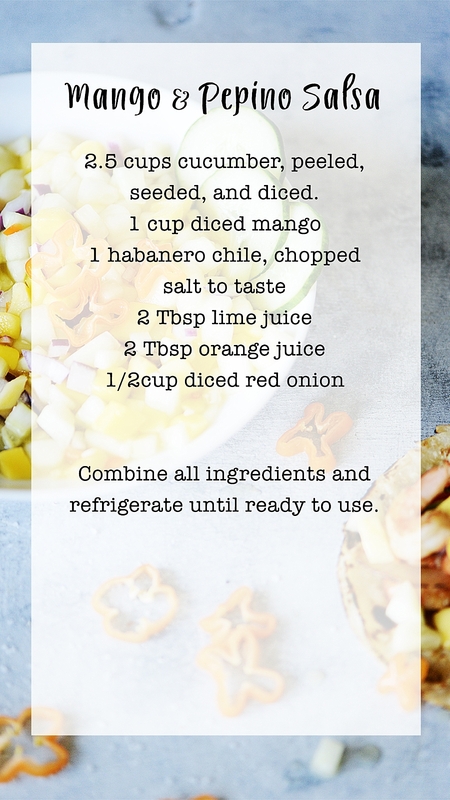 The habanero is a great addition to this salsa but if be careful with it since it’s very hot! Just use half of it if you like it less spicy. Oh and don’t rub your eyes after you finish cutting this little cutie! The spiciness lingers on your fingers for a while afterwards lol!